Have you ever prayed this? "Dear God, what is your purpose for me for at this time?" You long for the one story, the mission and plan to be revealed. As you wait, frustration and weariness take over... let's all sigh with a deep breath! Would it bring comfort with a little relief to know that you are not alone? I can tell you that I have been there time and time again. What I learned is that while I was waiting for the “one thing", I became blinded to the purpose God had right in front of me. A great example for following God's purpose is from the story of King David in the Bible. Did you know that he was more than a king? He was a shepherd, musician, husband, father and warrior. He was a man with sin, different titles, gifts and many stories. Although he knew at an early age he was the anointed king, many times it looked like it might not come true. He sought the Lord in every role along the way, each one of his stories and positions leading to His legacy, as a man after God's heart. My friend, God has not created us to sit and wait on one thing. We are women of many stories, with various role and gifts that are to be used right where we are at this very moment. If you feel you are in a season of waiting, as was David, be diligent in seeking the Lord with a joyful heart each day. Be purposeful in your time with Him and obedient to the instructions in His Word. In the book of Colossians, Paul shares a powerful tool in praying God's will. "To live a life worthy of Him in every way, bearing fruit." Just as David, let us choose to live a life worthy of God in our current roles. May we bear fruit with the gifts He has given, whether it is as a wife, mother, daughter, teacher, employee, volunteer or friend. As we are obedient to Him, He will make our path straight each step of the way to our calling and purpose for Him. "May I live a life worthy of you, bearing fruit right where I am today." 1. How are you actively pursuing the heart of God each day? 3. Where are you in the CW process of fulfilling God's purpose for your life? Dreams, Healing, Identity, Purpose, Healthy, Fashion In and Out. What can you start or stop doing to move to the next step? 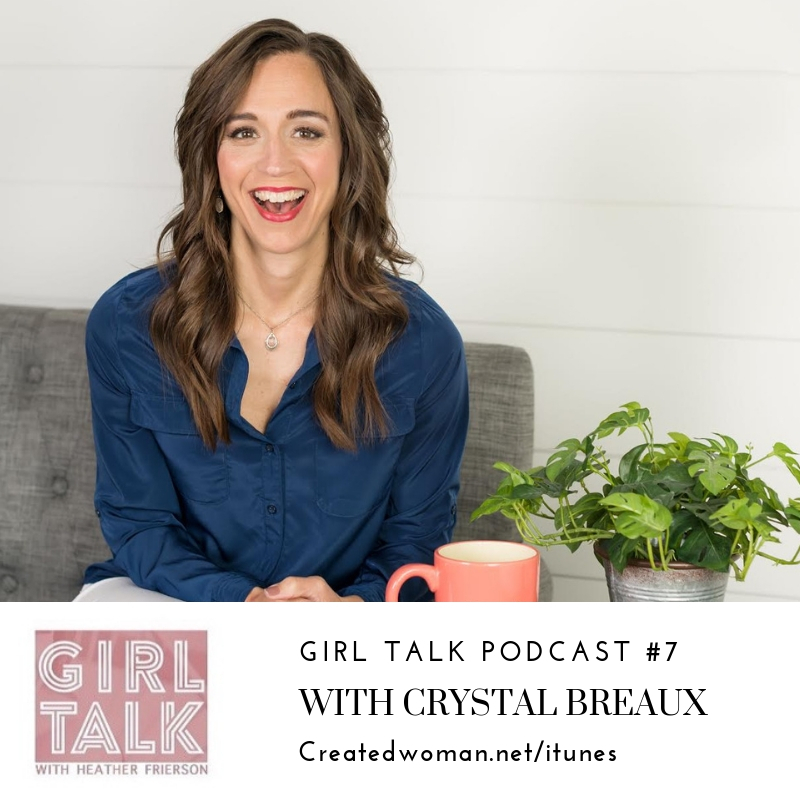 Hear Crystal on our podcast launching April 9th, 2019 on How-to discover and launch your purpose in 5 easy, practical steps. Subscribe HERE today and get a notification right when it launches.